Luke Skywalker. He’s an iconic symbol of movie history. It goes without saying. He’s appeared in hundreds of stories over the decades; movies, video games, books, comics, an episode of The Simpsons. There are very few people the world round who haven’t heard of the character. So the question must be asked, how do you treat a character of such renown when he makes his return to the silver screen after 34 years. The answer is: You upset people. Including Mark Hamill himself. We have this notion of Luke Skywalker, he is the embodiment of good, heroism and the light side of the force for a lot of people. He’s the hero. The Last Jedi takes that shining paragon of a character and rubs some dirt in his face. Listening to Mark Hamill’s initial thoughts on the changes to his character in The Last Jedi, my feelings aligned with them in most ways. Hamill says he struggled to accept the new direction, that it wasn’t the Luke Skywalker that George Lucas initially envisioned. 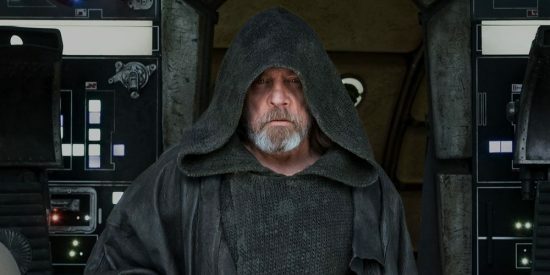 Luke in The Last Jedi is tired, jaded and seems to have given up on most everything going on in the Galaxy. I wasn’t a huge fan of this new characterisation of Luke. I don’t feel like Luke would give up like he did in this movie. Maybe he’d go through a crisis of confidence, but to so utterly lose all hope to the point he wants the Jedi to die seemed extreme. An organisation that had continued to exist in some form for thousands of years. But it would hypocritical of me to praise this movie for ignoring the rulebook and subverting conventions in some respects, but complain about it when it does a thing I’m not happy about. While both myself and Mark Hamill have considered this character a departure from “Luke Skywalker”, he ultimately acts how he needs to act to push this movie forward and build towards the future of this new, post George Lucas, era for the franchise. 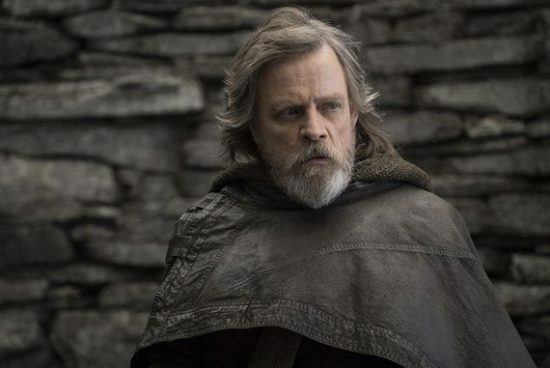 If I’m really honest with myself and ignore the fact that this isn’t “my” Luke Skywalker (as meaningless as that notion ultimately is), he’s still a good character in this movie that did a lot of things I enjoyed. The Luke we’re introduced to in The Last Jedi is a man who is at the end of his rope. After a cataclysmic failure that cost him nearly everything, he has just given up. Luke escaped to Ahch-To to die there, as he puts it. He wants to be the last Jedi because he failed both himself and his family when he had doubts about Ben Solo. It ultimately comes back to the theme of the movie, that I mentioned before, which is failure. We came into The Last Jedi expecting Luke to have become a Yoda-like figure, enlightened with the force and at peace with everything. Instead we see this weary old man, tired of everything and shunning those who come to him. He’s tired of the Jedi Order and tired of the old ways, old ways that he sees as fundamentally flawed. You might remember how the old ways almost put an end to the Jedi before, so he’s not wrong. While we might initially take these words at face value, because they’re coming from Luke Skywalker, we ultimately see that Luke, despite his years of experience is still the same dope of a kid he always was. It takes the reappearance of Yoda himself to show Luke that you need to embrace your mistakes, because otherwise how can you ever learn and grow from them. It takes this character of Luke, who we expect to be the wise master/mentor of the movie and shows us that even he is still fallible. 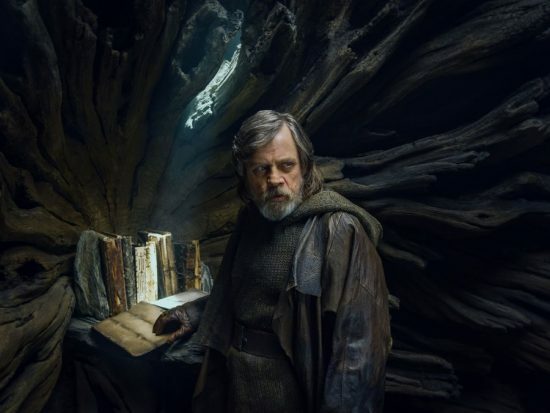 Another example: Luke goes to make this symbolic act of burning the original Jedi texts out of frustration, only to have Yoda show up and laugh at him. Yoda destroys the Jedi texts himself because ultimately, they’re just books. The Jedi became overly reliant on tradition and teachings of those that came before, Luke hiding away on some backwater isn’t going to stop the Force from touching people out in the galaxy. Yoda explains that Luke, and the audience, need to throw away their notions of what Jedi are supposed to be and just let it happen. Rey is a force sensitive, and a powerful one too, but she isn’t going to become a Jedi of old. She is going to go forward and forge her own path, and in her wake other force users will appear and take her lead. I don’t feel like The Jedi will be an highly organised group as they seemed in the prequel trilogy. Rather, they might be a roaming group of individuals righting wrongs in their own ways. This harkens back to the series’ roots and its inspiration in movies like the Seven Samurai. Like the Samurai of old fiction, Rey and the new force users of the galaxy might be roaming do-gooders, mythic figures and heroes to the little guys of the galaxy rather than super powered space cops. I think Disney want to bring some of the mysteriousness and legendary quality back to the Jedi in their new series after getting away from that in the prequels. 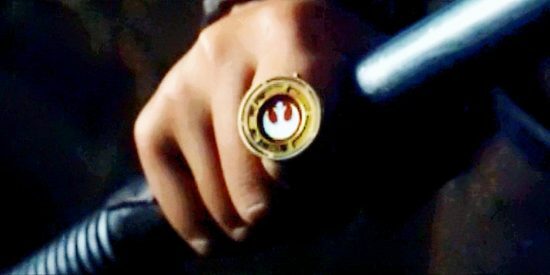 How the movie ends, with the small child on the casino planet, force sensitive and inspired by the actions of the Resistance, I feel like there is going to be much more of a “wild west” feeling to the franchise going forward, especially when it comes to the force. This movie was called The Last Jedi for a reason. While I’m sure the notion of the Jedi is going to remain in the public conscious for decades to come, I wouldn’t be overly shocked if what the word means really changes in the future of this franchise’s mainline movies. Like I said at the top, I am surprised at how intrigued by this prospect I actually am. Nobody is taking my Expanded Universe away from me, The Old Republic is still a thing, and I feel like the spinoff movies will treat these old themes with more familiar reverence. But to honestly not know what is going to happen next is a really nice feeling and I’m looking forward to what Disney are actually going to do for Episode IX. Posted on January 19, 2018 January 9, 2018 by WooderonPosted in Movies, My Thoughts on:Tagged episode viii, jedi, luke skywalker, mark hamill, Star Wars, the force, the last jedi.